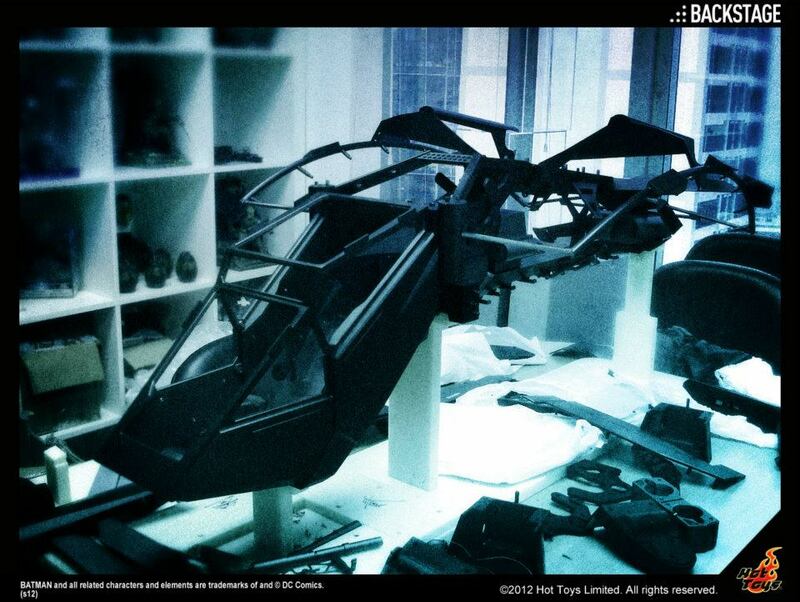 Hot Toys has revealed a sneak peek at a new vehicle. 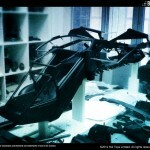 They are producing The Bat (aka the flying vehicle) from the upcoming Dark Knight Rises. no other info has been revealed. For now, take a look at the single image revealed. Click the thumbnail for a larger look. Yep! It's suppose to be Hot Toys's Largest figure/model made to this date, thing will be massive. and expensive, thinking $600-1000 range. I doubt if more than 4-5 people ever buy that thing. Hot Toys has a pretty loyal following that buys everything they put out, regardless of price. The thing will likely sell out and the after market value will go through the roof. Hot Toys has a pretty loyal following that buys everything they put out, regardless of price. I realize we're not supposed to make fun of Bruce's naming convention, but seriously? Could he not think of a better name for his aircraft than "The Bat"? Why not the Batship or Batjet or something? Oh, and I'm looking forward to seeing pics of the finished product and hopefully a demo with Bats at the controls. if it were a Quinjet i woulda been interested but having missed the Tumbler, Batpod and all the HT Batman figures i dont wanna get this and just have it and a Batman. Plus the way trailers have been lately i think this film may lower my views of this version of Bats. The first two were great films but this one hasn't caught my attention much and seems like their running on fumes. Anyway 1/6 Quinjet with Agent Coulson and i'll bite.